Happy Thursday! 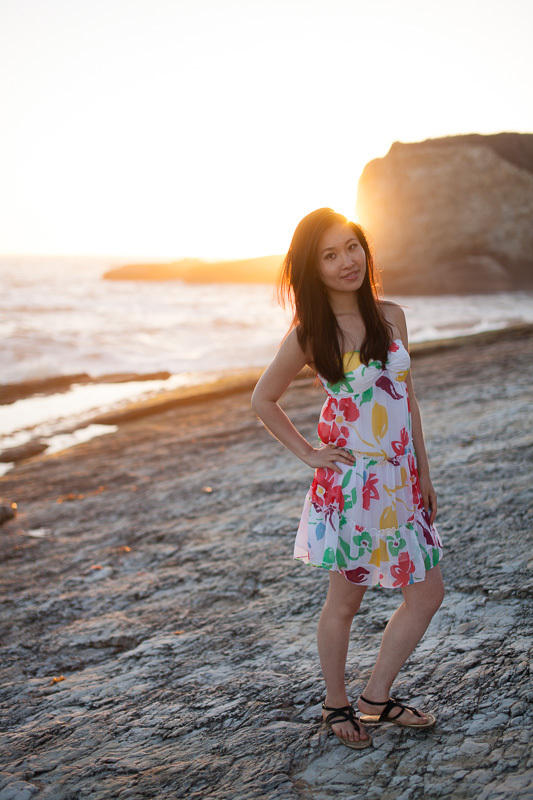 This is one of my favorite photoshoot with my best friend at Panther Beach. The floral strapless dress from GUESS (I haven't shopped there in so long!) in my opinion is still in style and goes really well with my black sandals that I bought a couple years back at Ambiance, San Francisco. The sandals are Seychelles and I even hiked Stone Mountain (Atlanta) in them! They're still in great shape and proves to be durable. Probably not going to have a chance to do a photoshoot at the beach anytime soon with Fall coming and the weather cooling down. Reminiscing the warm sunny days!